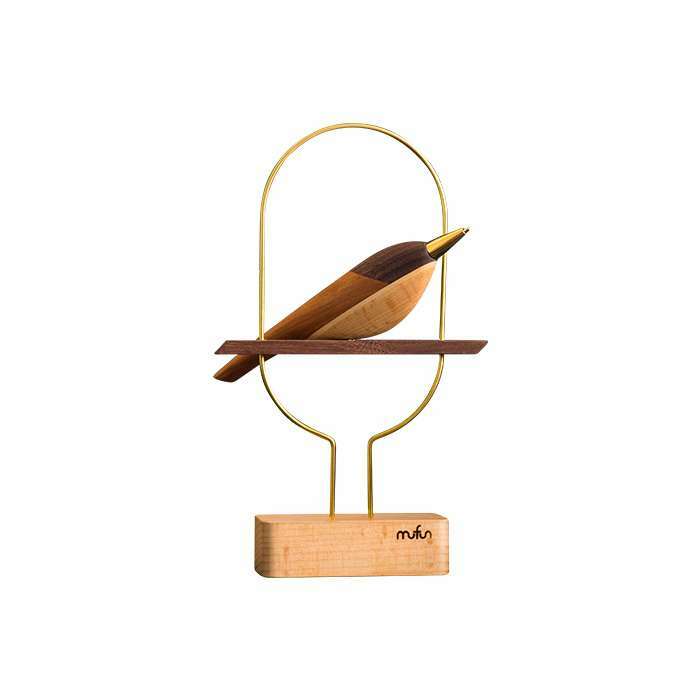 “Wings of pen” is inspired by the image of birds perch stand, the Copper-made conical pen point presents the beak while the combo of walnut and beech wood bird-shape embodies the cheerful bird silhouette. Pen stand elegantly combines copper coil and walnut wood with mortise and tenon joint. “Wings of pen” adds a touch of nature to the study room while providing delightful writing experience. Mufun Design Studio has dedicated itself to making the wood-craft an optimal delight by combining more fun and creativity. The studio was founded by two passionate designers with a common love for wooden figures. They make an effort to exhibit multiple Taiwanese cultures in every animal figure. 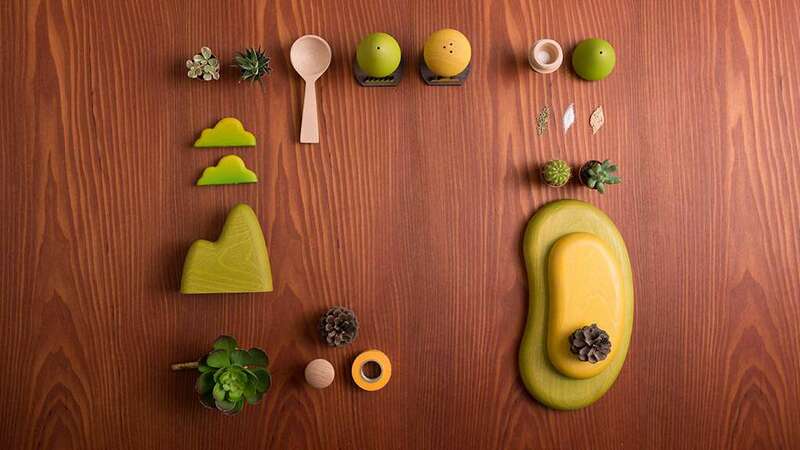 The features on Taiwanese endemic animals has made Mufun a unique design brand for Taiwan. Dimensions L115mm * W118mm * H55mm Product Details Materials Wood Weight 206 ..
Dimensions L115mm * W118mm * H55mm Product Details Materials ..
Dimensions L88mm * W40mm * H15mm Product Details Materials Wood Weight 20 g ..